Fairchild Media is a publisher of fashion trade magazines, websites, and conferences for the fashion, retail and beauty industries. Fairchild Media brands include Women’s Wear Daily, Footwear News (FN), Beauty Inc, M and Fairchild Summits. Fairchild Publications was founded in 1892 when Edmund Fairchild, a peddler, took over the Daily Trade Record (later the Daily News Record and DNR), a failing newspaper that covered the men's clothing business. In June 1910, an insert called "Women's Wear" first appeared in the Record; a month later, Fairchild published it as a standalone publication, known today as Women's Wear Daily. In 1968, the company—then named Fairchild Publications—was purchased by Capital Cities Communications. In 1996, The Walt Disney Company acquired Capital Cities/ABC. In 1997, Disney announced its intention to sell Fairchild, but it wasn't until 1999 that it sold Fairchild to Advance Publications, the parent company of Condé Nast Publications, for $650 million. In 2005, Advance Publications folded Fairchild into Condé Nast Publications and rebranded the division as the Fairchild Fashion Group. In 2008, it folded DNR. In 2010, Fairchild launched Menswear and took over the consumer-centric Style.com, previously part of Condé Nast Publications. 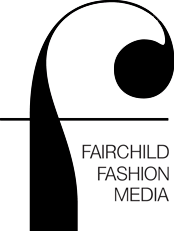 In 2011, Fairchild Fashion Group was renamed Fairchild Fashion Media; in October of that year, FFM launched Style.com/Print, a print magazine extension of the brand. In 2012, FFM sold its Fairchild Books division to Bloomsbury Publishing for $6.5 million. The same year, it acquired Fashion Networks International, a blog network with contributors that included Anna Dello Russo, Bryanboy, Rumi Neely, and Derek Blasberg. In August 2014, Advance Publications announced that it would sell FFM, save for Style.com and NowManifest, to Penske Media Corp. for $100 million. ^ Palmeri, Christopher (August 19, 2014). "Penske Media Buys Fairchild Trade Magazines". Bloomberg News. Retrieved 30 August 2014. ^ Axelrod, Nick (July 31, 2008). "The Changing Face of WWD". The New York Times. Retrieved 30 August 2014. ^ Godfrey, Donald G.; Leigh, Frederic A. (January 1, 1998). Historical Dictionary of American Radio. Greenwood Publishing Group. p. 62. ISBN 0313296367. Retrieved April 13, 2015. ^ Kuczinsky, Alex (August 20, 1999). "Merger Planned for 2 Giants of Fashion Publishing". The New York Times. Retrieved 30 August 2014. ^ Bosman, Julie (September 27, 2005). "A Consolidation at Condé Nast Gives Magazines One Overseer". The New York Times. Retrieved 30 August 2014. ^ Times, L.A. (November 24, 2008). "DNR RIP, men's fashion trade paper dead at 116". The Los Angeles Times. Retrieved 30 August 2014. ^ Wilson, Eric (October 26, 2011). "Finally, the Web at Hand". The New York Times. Retrieved 30 August 2014. ^ Publishing, Bloomsbury (April 2, 2012). "Acquisition of Fairchild Books". Bloomsbury Publishing. Retrieved 30 August 2014. ^ Wicks, Amy (May 15, 2012). "Fairchild Fashion Media Acquires Blogger Network". Women's Wear Daily. Retrieved 30 August 2014. ^ Bazilian, Emma (August 19, 2014). "Condé Nast Sells Fairchild Fashion Media to Penske". Adweek. Retrieved 30 August 2014. This page was last edited on 8 January 2019, at 05:08 (UTC).